One of the best parts about winter break is the ability to kick back and relax for a while and ignore the pile of work waiting for you once the break ends. I decided after looking at my rather extensive collection of Lush items, that it would be the perfect time for a pamper night. 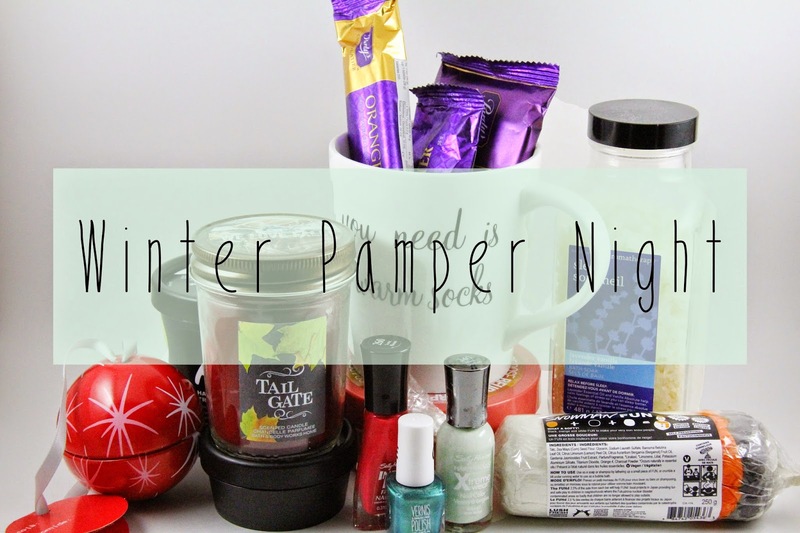 My second pamper night ever, in fact. I usually start off by cleaning my face with my face wash brush from THEFACESHOP and running a bath. In this case, I'm using around 3-4 capfuls of the Bath & Body Works Sleep Lavender Vanilla bath soak along with a new present I got for my birthday! My friend bought me a Snowman Fun bar from Lush which can be used as shampoo, soap or in my case, as a bubble bath. I also like to light a candle on the edge of the bath. I chose the Tail Gate autumnal candle from Bath & Body Works tonight. While in the bath, I take the opportunity to catch up on some light reading, in other words, anything other than a school assigned book. Today, I also applied Lush's Love Lettuce face mask and massaged Lush's Roots into my hair for 20 minutes. I then take a brief shower to wash out the face and hair mask and wash my hair. Out of the shower, I'll apply my Complex 15 face cream and the grapefruit body butter from The Body Shop. When all this is done and I'm in my comfy pajamas (obviously my pig onesie), I'll go downstairs and make myself a cup of hot cocoa or tea. Today, I chose one of my birthday gifts from David's Tea called Santa's Secret which consists of black tea, peppermint and sprinkles! I'm also kind of in love with the mug my friend got me for secret Santa which reads "all you need is tea & warm socks". Once the tea or hot chocolate is ready, I'll usually paint my nails. Since Christmas is just around the corner, I pulled out three festive colours: Mint Sorbet by Sally Hansen, Sonic Bloom by Sally Hansen and a forest green from Garage. Along the way, I admit that I snacked on some treats that are probably way too sweet for the night time, namely the various Purdy's chocolate treats I got from secret Santa. Finally, when all is done and I'm waiting for my nails to dry, my sister and I usually sprawl ourselves across the many couches and bean bag chairs and pop in a movie for the night.